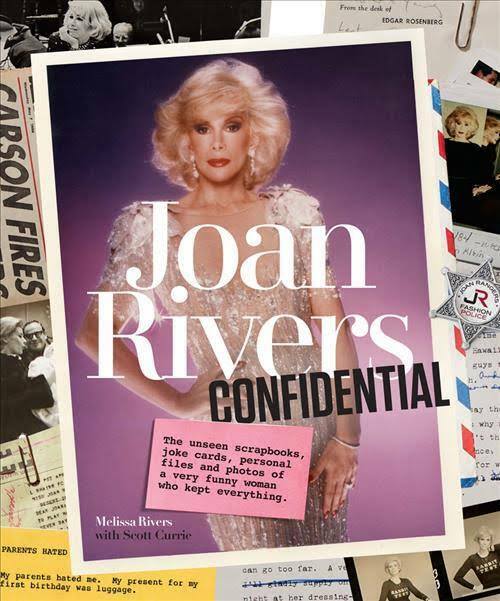 Joan Rivers Confidential: Available for Pre-Order! 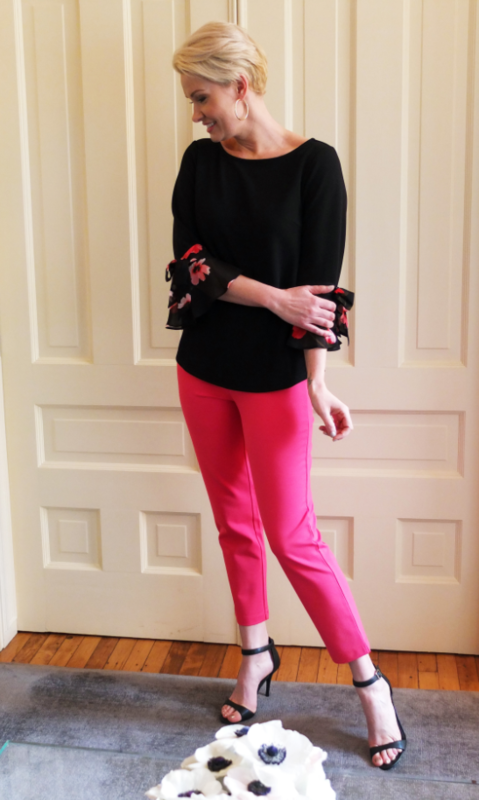 From Melissa Rivers comes a spectacular new book, Joan Rivers Confidential! 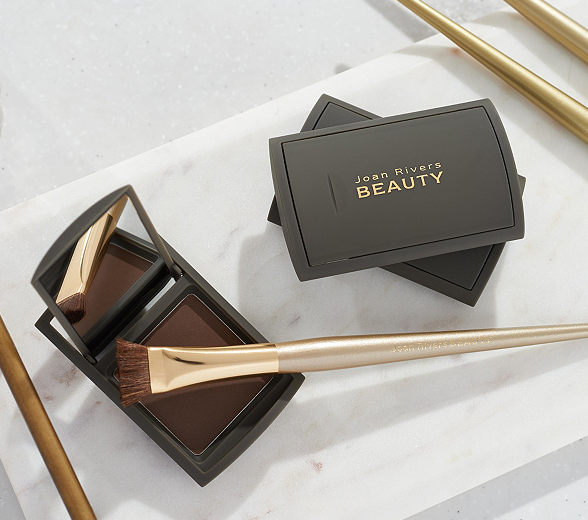 On shelves October 24th and available for pre-order now from the retailers below! 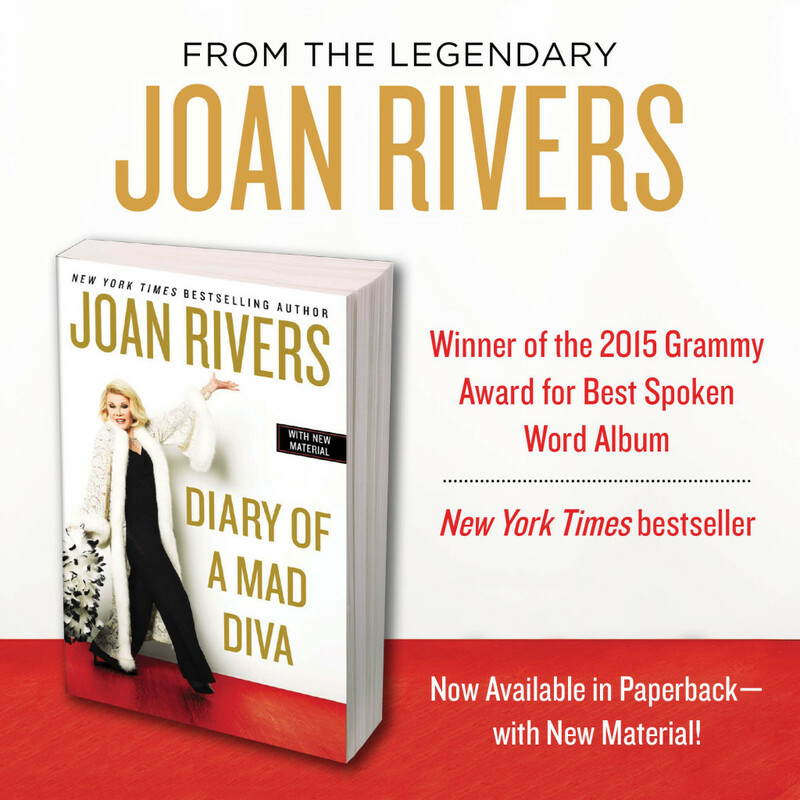 Diary of a Mad Diva Now on Paperback! The New York Times bestseller and winner of the 2015 Grammy for Best Spoken Word Album is now available on paperback with new material! Congratulations to Joan, Penguin Books/Audio and everyone on #TeamJoan!!! 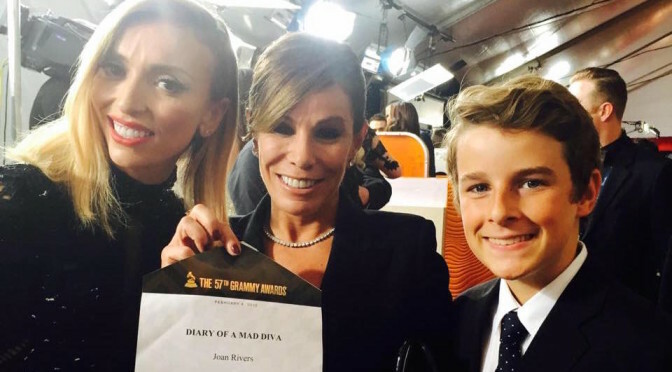 Joan won the Grammy Award for Best Spoken Word Album for the audiobook recording of Diary of a Mad Diva at the 57th GRAMMY Awards Premiere Ceremony on Feb. 8, 2015, in Los Angeles.